I attended the first two International Climate Change Conferences when they were held in New York City, but a change of venue to the hometown of The Heartland Institute, Chicago, was enough to discourage someone like myself who no longer enjoys travel of any kind for any reason. The most recent Heartland conference was held May 16-18 and drew over 800 people from nearly thirty nations. I “attended” electronically, watching the proceedings that were broadcast by Pajamas Media via the Internet. My friend, Joseph Bast, is the founder The Heartland Institute and, in a recent issue of The Heartlander, he wrote a revealing and insightful article, “There’s Nothing Mainstream About Old Media”, that says much about the state of journalism in America today. Though Bast did not say so, I can tell you that the bulk of the coverage was an effort to disparage the conference’s proceedings, devoted to debunking the global warming hoax. The Fourth conference in May featured world-famous physicists from Russia and Israel, and the U.S..; two astronauts including one who walked on the moon…” Also addressing the attendees were the two men who exposed the UN’s Intergovernmental Panel on Climate Change “hockey stick” fraud in which a deliberately fraudulent graph conveyed the notion of a rapidly warming planet. 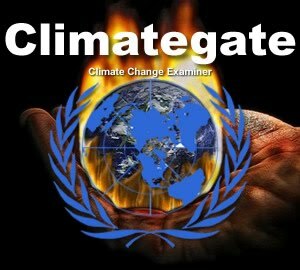 The blogger who broke the Climategate story in November 2009 that revealed how IPCC “scientists” had deliberately distorted their “research” to further the global warming hoax was there along with eighty elected officials, and many others who have steadfastly questioned global warming claims, some for decades, until it finally began to die of its own dead weight. Guess how many from the “mainstream media” covered the Fourth Conference? None! Keep in mind that the Obama administration’s desperate effort to push through Cap-and-Trade legislation, a huge tax on all energy use, is entirely based on global warming and the lie that carbon dioxide (CO2) emissions are “causing” it. There have been many studies by journalism research centers that have long since established the liberal allegiance of the vast bulk of journalists working in the so-called mainstream media today, newspapers and news magazines, radio and television news outlets. “This isn’t journalism,” wrote Bast. “It’s advocacy.” And it is advocacy of a global fraud called global warming. It is the deliberate deception of millions of Americans and others around the world to further the global warming fraud. The new media is, of course, the rise and growth of the Internet and its many websites and blogs that provide the truth about the global warming hoax and many other issues that are causing Americans and others around the world so much grief. Would it be possible for you to post a link to Dr. Bast's piece? I'm having trouble tracking it down. I attended the conference and know for a fact that Roger Harrabin of the BBC was there. James Delingpole, who was a speaker, also filed blog posts to The Telegraph. Although I personally didn't see them, I'm surprised that no one from FOXnews - print or TV - was there. Joe Bast's commentary was in an issue of the Heartlander and not posted to the Institute's website and thus not available to anyone by the Institute's members who receive the magazine. Bast was referring to US media, not UK. You Must Love the EPA--Or Else! Is Barack Obama the Ultimate Sleeper Agent? "I Used to Love America More"